Every Tuesday evening from 7-9 p.m.
Every evening from 3-6 a.m. The purpose of these windows is to perform necessary maintenance such as installing software and security updates, perform backups on servers, and occasionally upgrade servers. With all respect to David Bowie, “I still don’t know what I was waiting for…” Over the course of the last 14 years, many things have changed. Our servers have been replaced and are faster. Our databases are more robust and allow some maintenance operations while they are in use. Our web servers can handle loads that weren’t possible in 2002. In short, we don’t need the same amount of downtime to maintain TheHub that we did back in 2002. In April 2015 we ended the weekly Tuesday maintenance window completely. 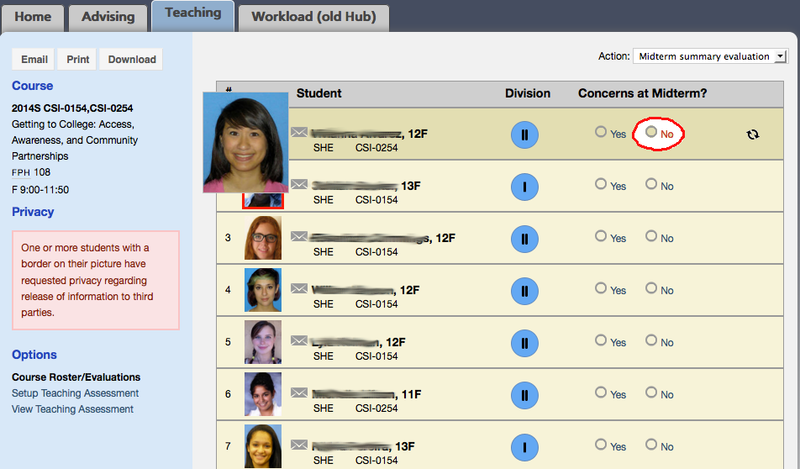 We can accomplish much of what we need to do with users logged in and using TheHub. On occasion we may need to have a short maintenance period, but we’ll announce it in advance and we don’t need it every week. New this month (June 2016), we are shortening the evening maintenance window to 3am-5 am. We hope that this offers more support to those who like to work earlier in the morning. Likewise we will continue to re-evaluate our processes and look to further shorten or eliminate this window in the future. Auto-save is a feature you’re probably used to from Google Docs and other online sites where the content of your pages is automatically saved every few seconds or so, even without having to click the “Save” or “Submit” button. We’ve been meaning to introduce this to TheHub for awhile now, and finally had the resources to make this happen. What is (and isn’t) saved on TheHub? It’s important to understand what is and is not automatically saved on TheHub. In short, TheHub is not automatically saving the entire form – there are a long list of reasons why this isn’t possible including error checking and data validation. What is auto-saved is all the large text blocks – those large rectangles you enter several sentences or paragraphs into. Student examples include your Draft Div II and III contracts (eg: “Overview”, “Goals”, “Plan”, “Multiple Cultural Perspectives”, “Advanced Learning Activities”, etc). 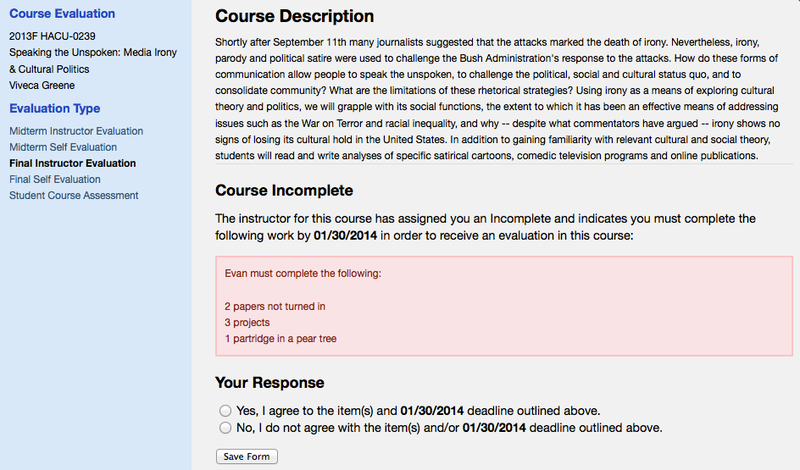 Faculty examples include Final Course Evaluations (eg: “Narrative”, “Cumulative Skills”, “Optional Comments”, etc). It is important to understand that you must click “Save” or “Submit” on every form to ensure the entire contents are saved. Auto-save will only save the large text blocks and nothing else. Auto-save will be introduced on TheHub at the start of Spring committee request period, around March 2016 for students and later in summer/fall 2016 for faculty. Students’ privacy and how the college handles FERPA is very important. Central Records has had a Privacy of Records form on TheHub for many years now and encourages students to complete this form to ensure their preferences are honored. These preference include if/when the college can speak to your parent(s) or guardian(s) about aspects of your work at Hampshire. Starting in January 2016 students will be required to update the Privacy of Records form once per academic year (an academic year runs from June 1 through May 30). In order to be in compliance with the ever-changing rules around FERPA the US Department of Education (DOE) requires colleges to notify students of their rights annually. In order to have the most accurate and up-to-date information on your preferences, we are requiring students to update their preferences annually. a check is performed to see if/when you last filled out the Privacy of Records form. If you completed that form anytime after June 1st, you’ll get the page you expect. If you have not completed the Privacy of Records form since June 1st then you will be automatically redirected to the Privacy of Records form. Upon completion of the form, you’ll be taken to your original destination. Since its inception, TheHub has had a weekly maintenance window on Tuesday evenings from 7-9pm. Effective April, 2015 this will be ending – students, faculty and staff can use TheHub every weekday evening (including Tuesdays) without interruption. Please note that the maintenance window from 3am-6am each day will remain in effect. Also note that periodic maintenance windows may be announced on an as-needed basis. As with any web application, in order to properly operate TheHub we have to periodically install software updates which cannot be accomplished while users are logged in. Additionally, database tuning and maintenance must be performed regularly – something that previously could not be accomplished with users actively using TheHub. However, improvements in software and database architecture over the last 10 years now allow us to side step some of these hurdles. We hope you receive this message and are overjoyed at the possibility of using TheHub on Tuesday evenings. Entering information about students for whom you have concerns at midterm is important to help CASA identify those who may need assistance to ensure satisfactory academic progress. 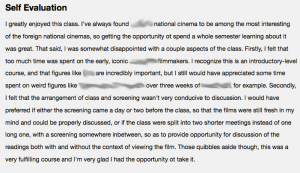 Like the old version of TheHub, you now have two methods of recording midterm evaluations: a new quick (summary) method to quickly enter the majority of students or the original student-by-student basis to record comments for each. You can use either (or both!) methods, the choice is yours. Please note that Midterm Evaluations are required for all students in their first year at Hampshire (both newly admitted and transfers who entered in Fall 2013 or Spring 2014). 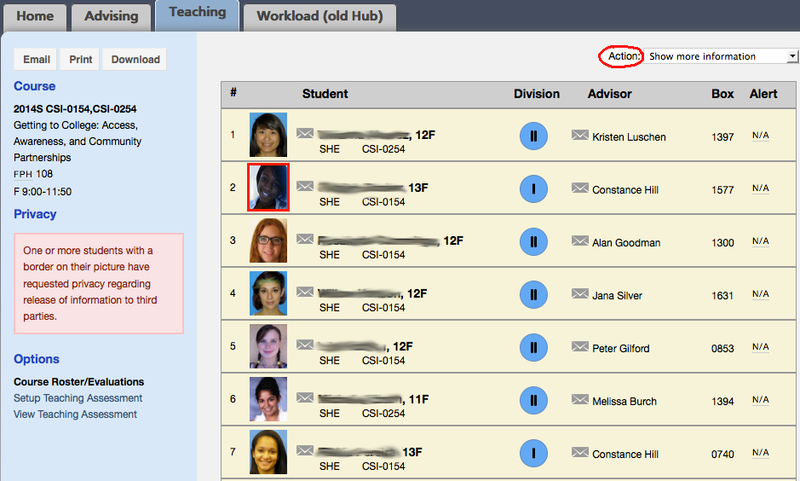 You can easily identify which students require an evaluation by looking for the icon. Midterm evaluations for other students is voluntary. When you get to TheHub, select any course from Spring 2014 for which you wish to complete midterm evaluations. By default, the class roster is displayed. Take note of the Action: selector in the upper-right corner. 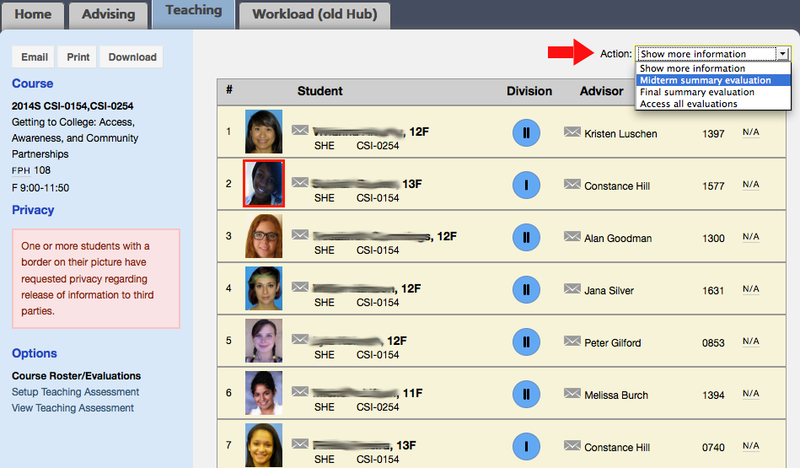 From your class roster on TheHub, use the “Action” selector in the upper right corner and choose “Midterm summary evaluations” to display the Summary/Quick entry form. 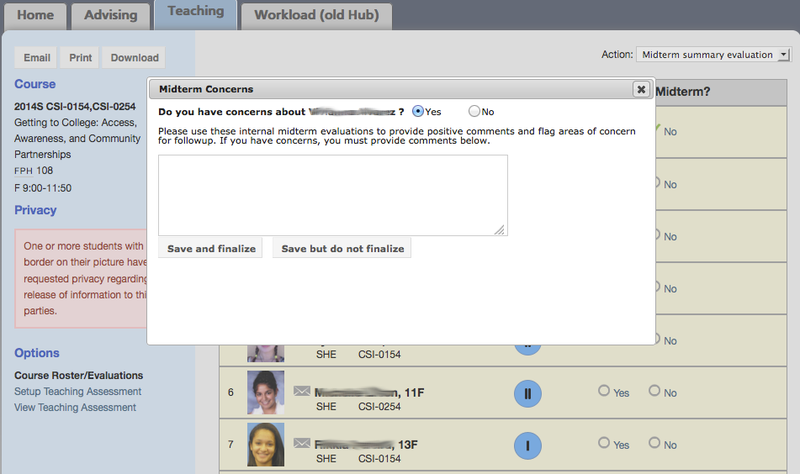 Your roster will now display a “Concerns at Midterm?” column along with columns of Yes/No for each student. For students for whom you have no concerns simply click “No”. This will record your response with a single click and no confirmation is needed. Note that this does not allow you to enter positive comments for these students either. If you want to include comments for a student for whom you have no concerns, please use the Student-By-Student entry below. For those students whom you do have concerns at midterm, click “Yes”. This will open a new dialog where you are required to enter comments explaining your concerns. Please note that these comments are shared with both CASA and the student. 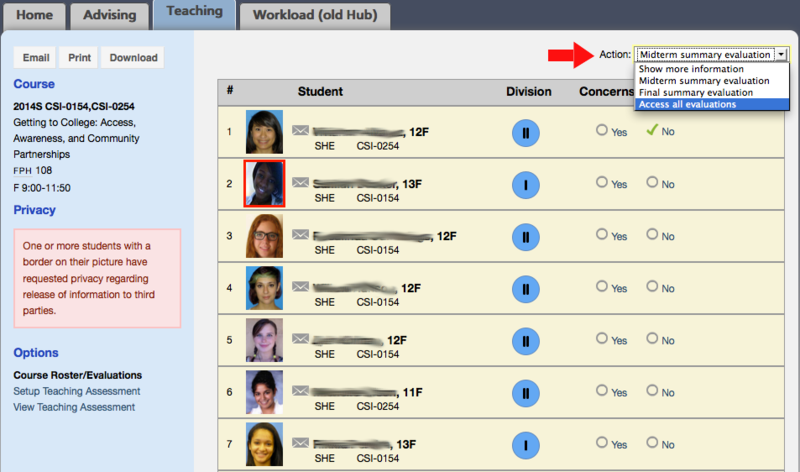 If you prefer to enter midterm evaluations on a student by student basis, from your class roster on TheHub, use the “Action” selector in the upper right corner and choose “Access all evaluations” to display the Evaluation page. 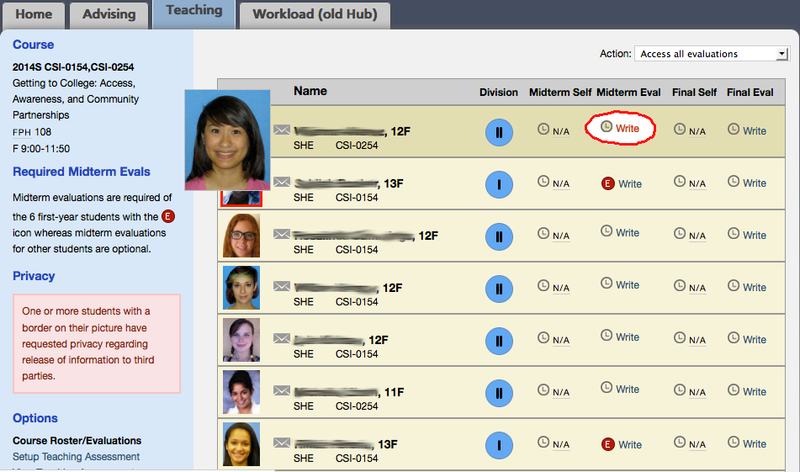 Under the “Midterm Eval” column, click “Write” to record your midterm evaluation for each student in the class. This will open a new dialog where you can indicate if you have concerns. As always, you are required to enter comments if you do have concerns. Please note that these comments are shared with both CASA and the student. You Got an Incomplete. Now What? So it’s the end of the semester and unfortunately you just received an incomplete in a course, now what do you do? Here’s what will happen and how you can still save yourself with some work. An instructor can choose to assign an incomplete to a student who has work that is missing or incomplete. Receiving an incomplete may not be the most exciting highlight of your semester, but the instructor is giving you the opportunity to complete the missing work and still receive an evaluation in a course. This is far better than the dreaded No Evaluation, Hampshire’s equivalent to an “F”. You’ll be notified via email that you have an incomplete. You must log into TheHub within 24 hours, read what the instructor wants you to complete to remedy the missing work, and respond that you do or do not agree. If you agree, you have a set deadline (date) by which you must complete and turn in all the missing work. If you disagree, you will enter comments why you disagree and they are sent to the instructor. If you disagree, the instructor has the choice to amend their original requirements or leave them as originally stated. If you agree, compete the form (sample below), complete the work and turn it in on time (before the deadline). You have recieved an incomplete in the course HACU-xxxx. You have 24 hours to respond to what the instructor expects you to complete in order to resolve this incomplete and successfully receive an evaluation in the course. If you do not respond on TheHub within 24 hours (by midnight on MM/DD/YYYY) or fail to complete the work by the MM/DD/YYYY deadline set by the instructor for this course, you will receive No Evaluation for this course. 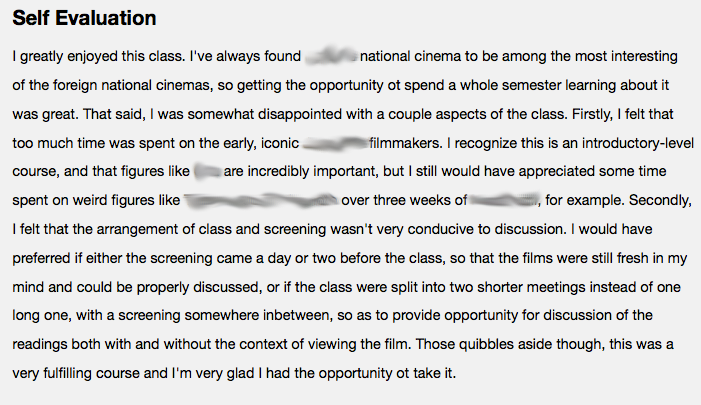 Please go to https://evals.hampshire.edu/some/long/url/here to respond to this incomplete.